The India Renewable Energy Zones (IREZ) were identified under the Multi-criteria Analysis for Planning Renewable Energy (MapRE) initiative at the Lawrence Berkeley National Laboratory (LBNL). The Government of India has set high targets of 100 GW solar photovoltaics (PV) and 60 GW of wind capacity by 2022, and has also set significant targets for renewable energy generation by 2030 under their Intended Nationally Determined Contributions (INDCs) submitted to the United Nations. 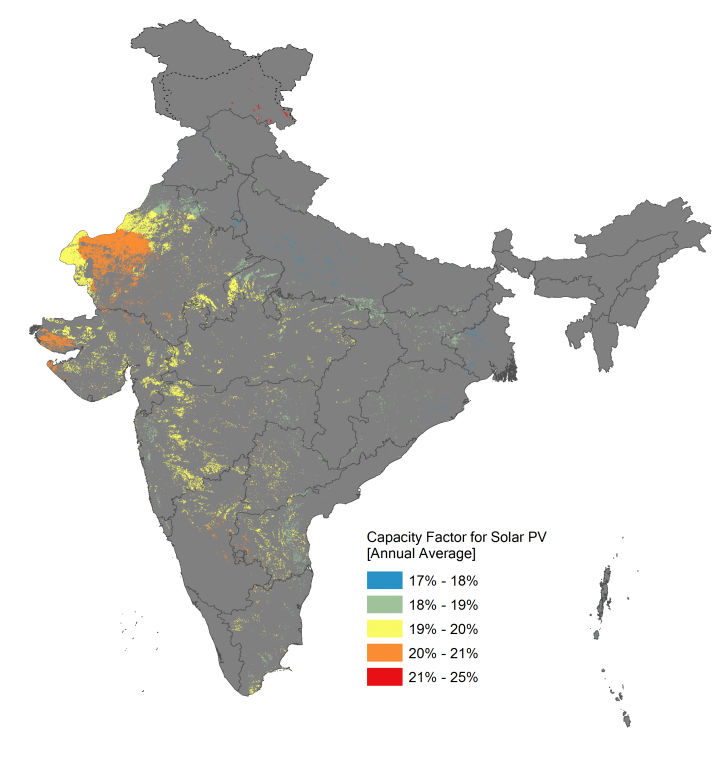 The India Renewable Energy Zones study identifies cost-effective, equitable, and environmentally sustainable wind, solar PV, and concentrated solar power (CSP) zones across India. Identification of high-quality RE zones can reduce the risk to project developers and facilitate preemptive transmission planning by utilities and government agencies to encourage cost-effective and, socially and environmentally responsible development. Attributes of zones include levelized cost of energy for generation (using Central Electricity Regulatory Commission norms), for transmission, and for road, distances to nearest substation and road, human impact score, capacity value (for wind), number of project opportunity areas within 10 km of a surface water body, potential for co-location with another RE technology, population density, and slope. In the study – “Geospatial and techno-economic analysis of wind and solar resources in India” Renewable Energy Vol 134 – we apply MapRE methods to identify wind and solar resources in India. Spatially-disaggregated estimates of levelized costs based on 2017-18 auction prices show cost competitiveness with coal-based generation. In addition, more than 80% wind resources coincide with agricultural lands and 80-90% solar resources lie in water stressed areas, both likely barriers for renewable energy deployment in India. Finally, opportunities for co-location abound that could meet a third of India’s 2030 demand. This work was supported through individual fellowships from the National Science Foundation, Link Foundation, and Siebel Scholar Program, as well as foundation gift funds to the International Energy Studies Group. 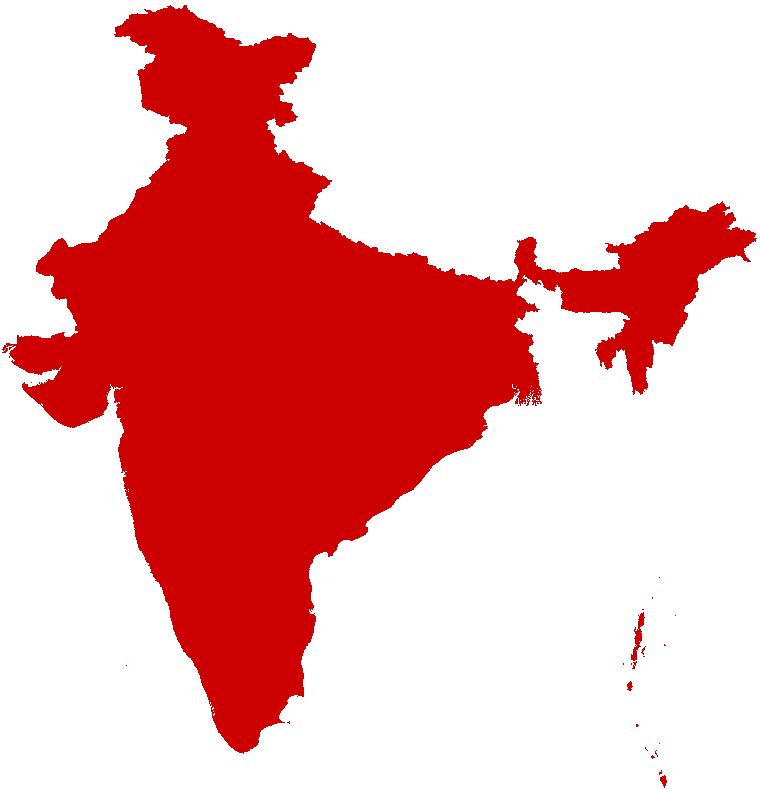 To access the geospatial data for India, please visit the Spatial Data page. Approximately 90% of concentrated solar power (CSP) resources and 80% of solar PV resources in India are in areas experiencing high water stress, which can severely restrict deployment unless water requirements are minimized. Water stress areas were identified using the World Resources Institute's data. At least 110 GW of wind and 360 GW of solar PV capacity can be co-located in India, which together could meet 35% of electricity demand in 2030. Co-locating wind and solar plants reduces impact on land-use and depending on the generation profiles, results in better transmission capacity utilization. Solar PV resource supply curve is relatively flat suggesting similar resource quality across the region. In contrast, the wind resource supply curve is sloping, which suggests significant heterogeneity in resource quality across the region. Capital costs are derived from solar and wind auction prices in 2017-2018. Land use factor assumed for wind is 2.25 MW/km2 and for solar PV is 7.5 MW/km2. Vertical line represents 30% of India's 2030 demand for electricity. More than 80% of wind resources lie on agricultural lands where dual land use strategies could encourage wind development and avoid loss of agriculturally productive land. 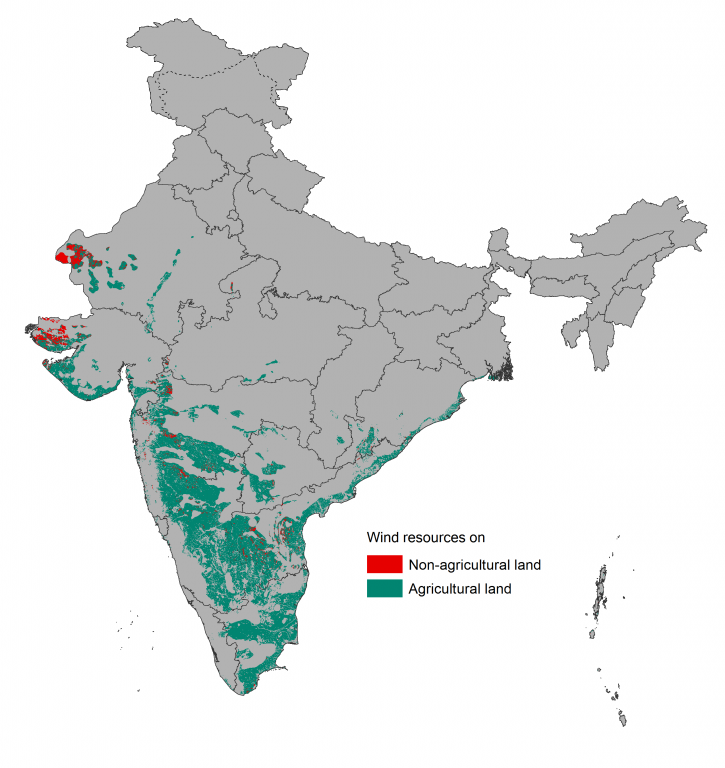 Agricultural land was identified using India's National Remote Sensing Centre's data. This document was prepared as an account of work sponsored by an agency of the United States Government. Neither the United States Government nor any agency thereof, nor the Regents of the University of California, nor any of their employees, makes any warranty, express or implied, or assumes any legal responsibility for the accuracy, completeness, or usefulness of any information, apparatus, product, or process disclosed, or represents that its use would not infringe privately owned rights. Reference herein to any specific commercial product, process, or service by its trade name, trademark, manufacturer, or otherwise, does not necessarily constitute or imply its endorsement, recommendation, or favoring by the United States Government or any agency thereof, or the Regents of the University of California. The views and opinions of authors expressed herein do not necessarily state or reflect those of the United States Government or any agency thereof or the Regents of the University of California.